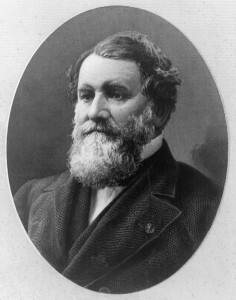 American inventor, Cyrus McCormick, patents the mechanical reaper that combined multiple farming steps into one. This machine could be pulled by a horse and both cut and harvest grain mechanically. This technological leap tripled farmers’ outputs, sped up the harvesting process, and drastically reduced the number of crop hands needed in the field, turning the American midwest into an agricultural behemoth. Four years later, Hiram Moore (another American) invented the first combine, which took the technology of the reaper and added mechanized threshing (the loosening of edible grain from the inedible part of the plant) and winnowing (the separation of the edible grain from the rest).